GUNNISON, Colo. – There is a rich heritage that surges all across the Gunnison Valley. For nearly 140 years, this has been home to families that raise livestock. 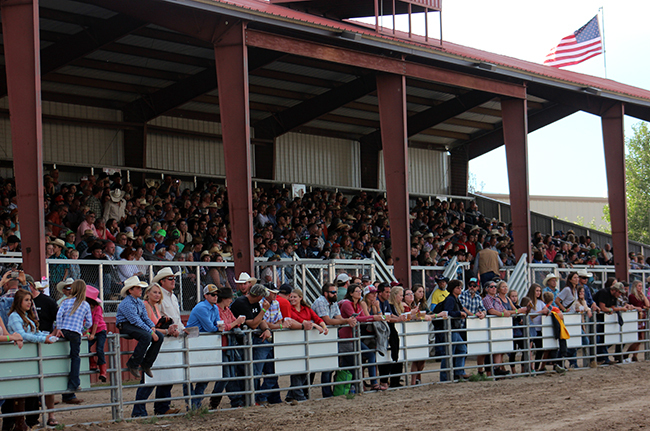 It’s that type of legacy that has contributed to the annual Cattlemen’s Days celebration, set for Friday, June 6-Sunday, July 15, at the Fred Field Western Center in Gunnison. “We want to pay tribute to the local ranchers, those families that have been the foundation of Gunnison County for generations,” said Kevin Coblentz, president of the Cattlemen’s Days committee that produces the annual event. “We are taking a look back and returning to our roots. Cattlemen’s Days is Colorado’s hidden gem, because it is real Americana. In days where video games have become more common than playing outside, the exposition offers a glimpse of the work and rewards that have come from ranching families. After all, there are many pieces to the Cattlemen’s Days puzzle that directly reflect on the ranching industry. “We’ve got the Watershed ranch rodeo, Watershed team ranch sorting and Watershed team roping and barrel racing that are a real reflection of life on a ranch,” Coblentz said. “You have the livestock shows and our FFA Junior Livestock Auction, which is always a big deal. There’s a great deal of which Coblentz, the Cattlemen’s Days committee and the community can be proud. The exposition features 10 days full of activities and fun. From the horse show opening the festivities on July 6 to the Cattlemen’s Days Open Jackpot Team Roping closing them on July 15, there are many activities in between. There are dances, concerts and the carnival to go along with every livestock show and rodeo performance. All that combined is the perfect celebration for this picturesque, ranching community.